Antique or Reproduction | Value? 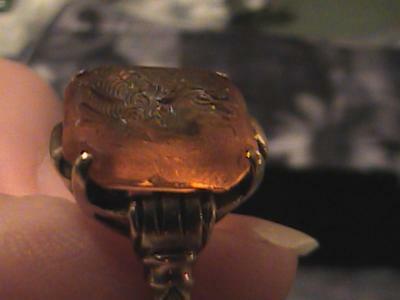 I got this ring from my mother, I took it to a pawn shop and they told me the stone and gold are real but said they couldn't date it for me. They offered me 80$ for it, and I'm just wondering if anyone can give me some information before I sell.